The holiday season is upon us and with it, for many of you, comes the desire to take a dip. 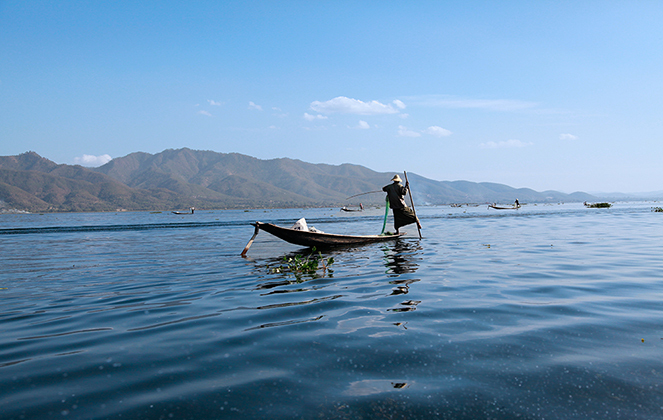 In Myanmar, Inle Lake is breathtakingly beautiful. 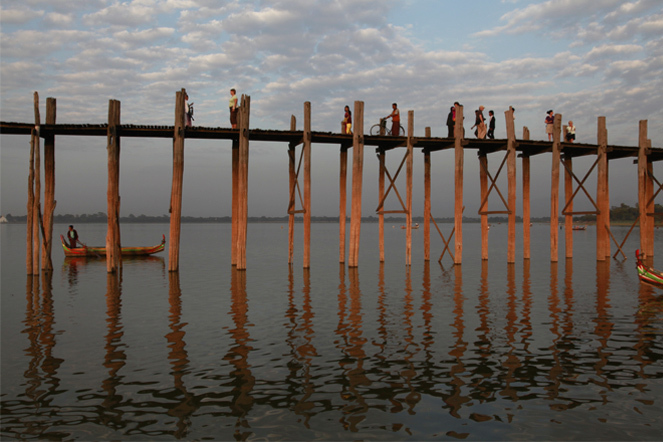 The blue sky merges with the waters of the lake. 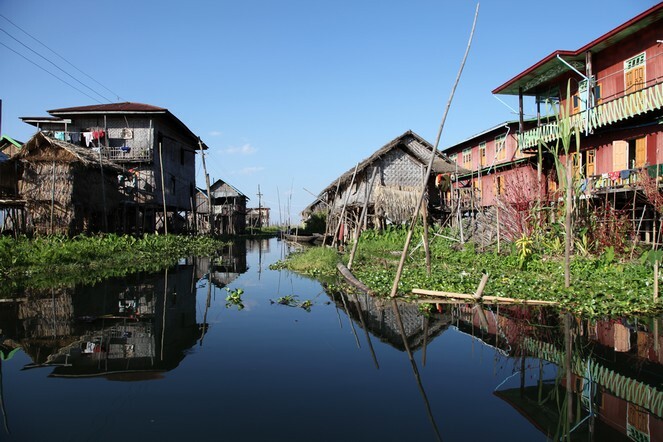 Speaking of taking a dip, the houses here are built on stilts, and people grow their vegetables on small plots of floating earth. It’s magical. Many of you go green for the summer holidays, surrounded by countryside. I give you plenty of green throughout the year with my blog posts, photos, and fields of tea undulating gently to the horizon. But at this time of year, when we like a change of scenery, I’m offering you blue instead of green, and I’m taking you to the shores of my favourite lake, Inle (Myanmar). I wish you very happy holidays! 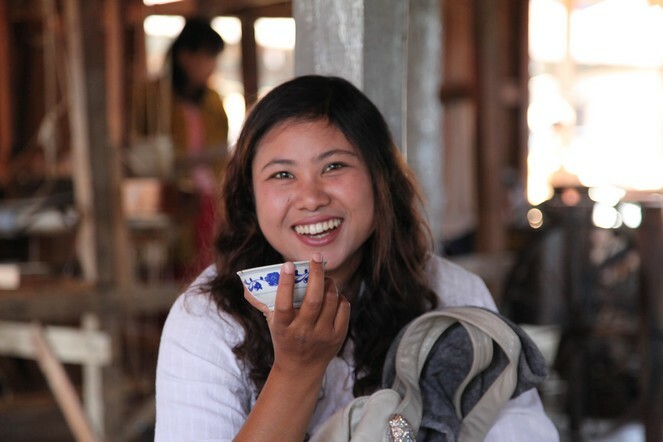 When it comes to tea drinking, customs change from country to country. 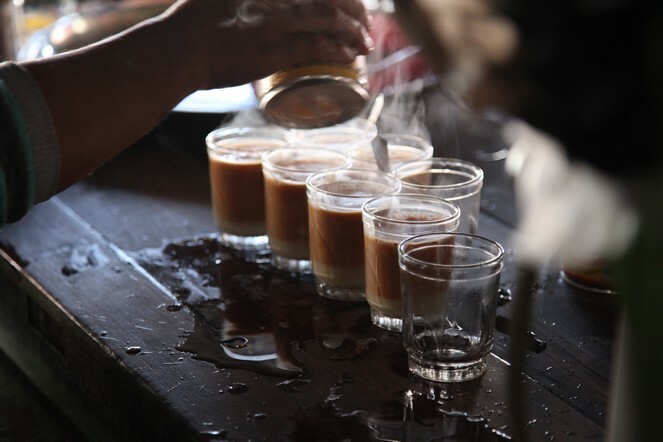 In Burma, for example, tea is served slightly diluted with sweetened condensed milk. 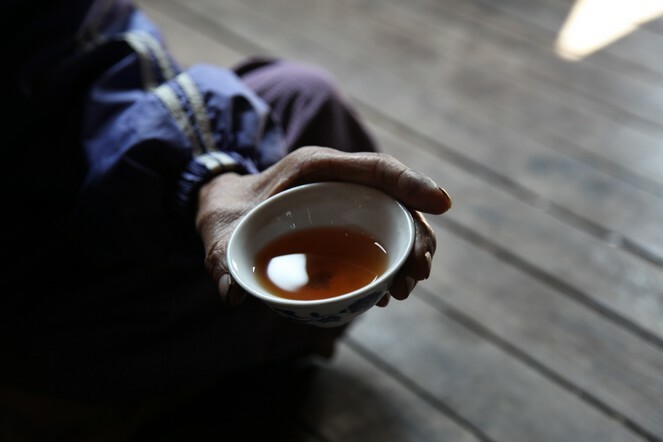 You can like or not like this way of doing things, but one of camellia sinensis’ many qualities is its tolerance and its ability to make the people of our planet want to adapt it to their own taste. In a recent interview, a journalist asked me why I drink tea. I drink tea to relax, to find a moment’s peace, to create some space for myself. I drink tea to stay calm, to give myself a break, to do myself good. I drink tea in the same way that others practice yoga, to keep myself feeling good, to replenish. And I also drink tea for the pleasure of making it and the pleasure of serving it to others. I drink tea for the happiness that comes from sharing it. 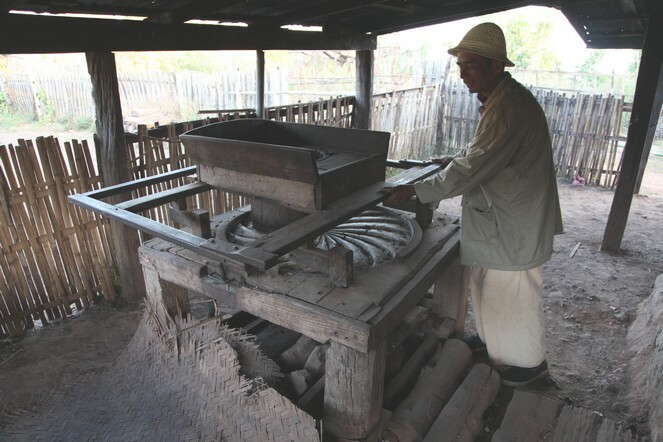 In Myanmar (Burma), the production of tea remains highly artisanal. People make both green and black tea. I haven’t found anything special in my tastings so far, but I’m continuing my research. 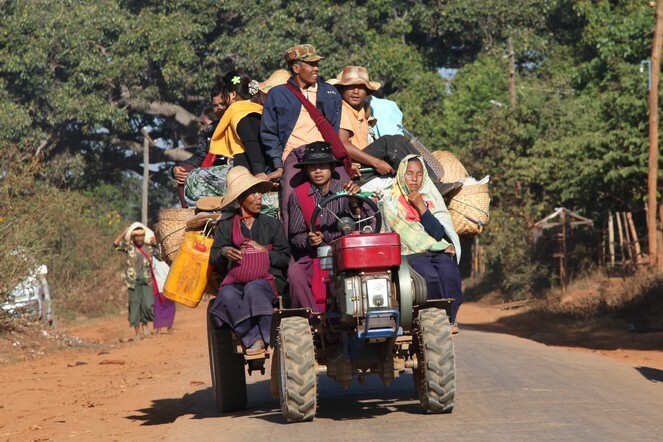 Here, in the Hsipaw region, the main tea producing area, villagers take the plucked tea leaves home and process them in front of their houses. This is what the local rolling machines look like. They are worked by hand. My quest to unearth the world’s finest teas often finds me travelling familiar roads, whether in China, India, Japan, Nepal or Korea. However, sometimes I need to take a different route. 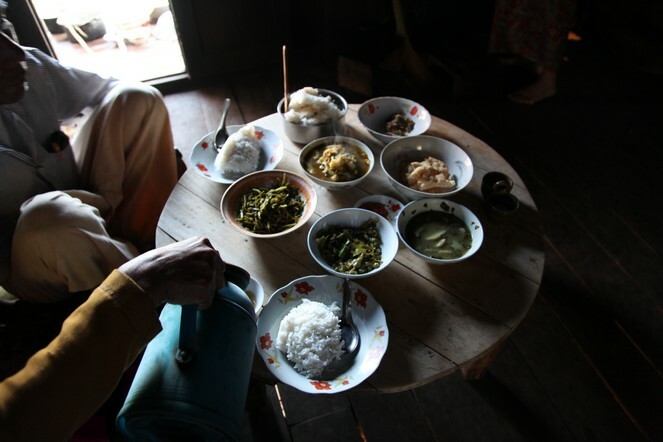 Exploring new areas is part of my work as a tea researcher; here I am en route to the north of Shan State and the mountains of the Golden Triangle. 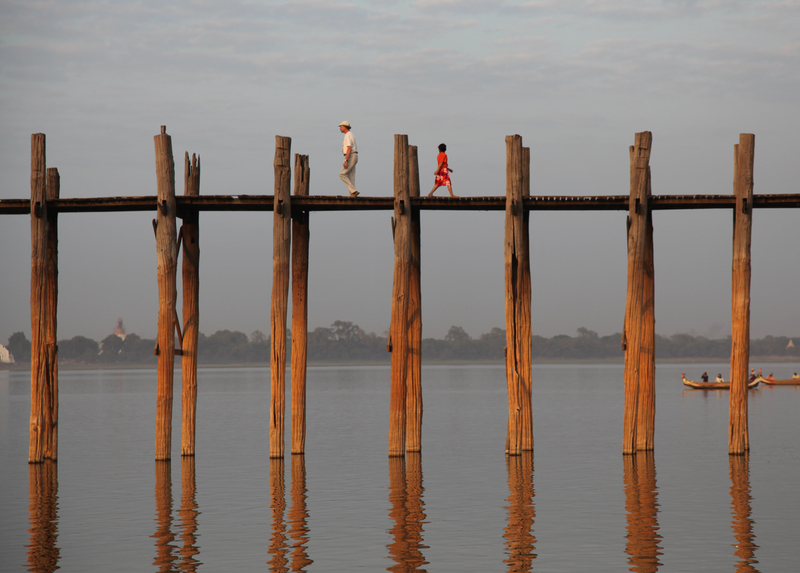 I’ve heard it said that the main tea producing region of Myanmar is in Namshan. I’m ready for my adventures of discovery!